Fri., Sept. 7, 2018, 2:40 p.m.
WASHINGTON – The Trump administration is granting only partial loan forgiveness to the vast majority of students approved for help because of fraud by for-profit colleges, according to preliminary Education Department data obtained by The Associated Press. 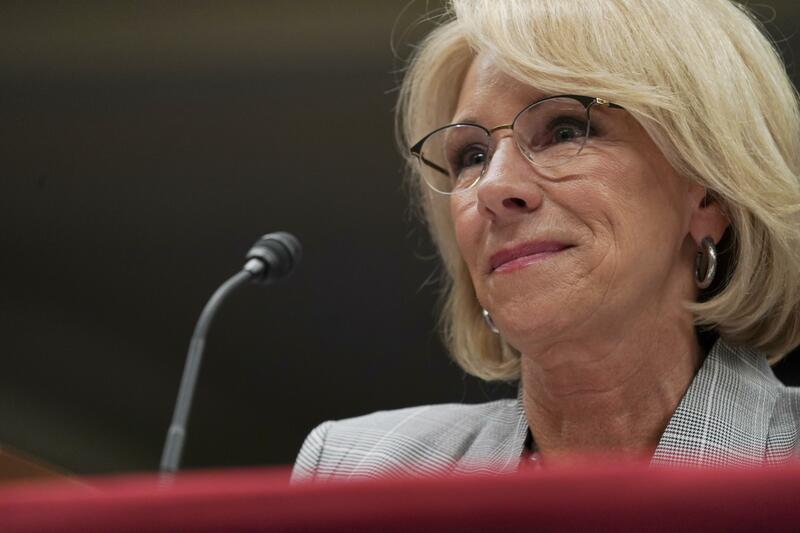 Of the roughly 16,000 fraud claims approved thus far by the Education Department under DeVos, slightly more than 1,000 students received full forgiveness on their loans, according to an AP analysis of the data. DeVos has been pushing to ease regulations for the for-profit sector and raise the bar for students seeking relief for fraud. Critics say DeVos, who has hired officials from the for-profit sector to top positions in her agency, is favoring industry interests. But DeVos counters that the previous approach was unfair to taxpayers who ended up paying for those forgiven loans. She says the new process will enable students to get their claims considered more quickly and efficiently and will be more balanced instead of an “all-or-nothing” approach. Kimberly Fe, 53, studied medical administration and billing at a Corinthian college in California. She said she received poor quality education and was deceived into believing that her credits would transfer to four-year colleges, which wasn’t the case. The Education Department recently notified Fe that it has forgiven some $2,000 out of $7,000 of her federal student loan. Published: Sept. 7, 2018, 2:40 p.m.